Few days in your life will be as special as your wedding day. People spend months, and sometimes years, planning for what they hope will be the perfect wedding. Some women start dreaming about what that day will be like when they are little girls. Everyone wants their wedding to be special and stand out from the rest. 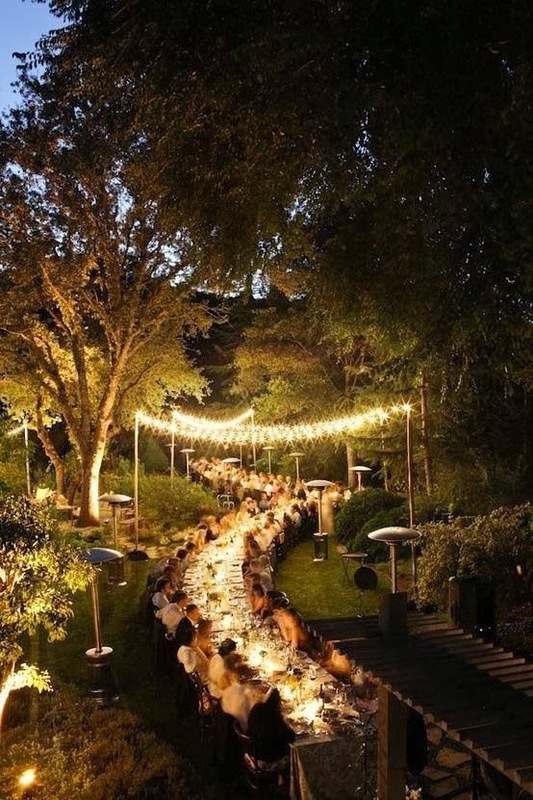 One way to do this is by planning an outdoor wedding. This article will provide you with some interesting ideas to get you started. Your choice will, at least in part, be based on the location you live in. Some geographical locations lend themselves to certain types of outdoor weddings over others. For example, if you live near the beach, you would probably lean toward a beach style wedding. 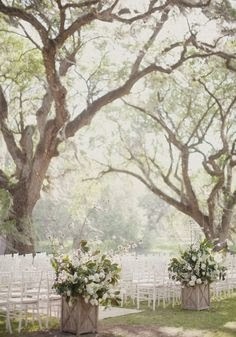 Basically, take into consideration what type of outdoor wedding would naturally fit into the surroundings you have to work with. 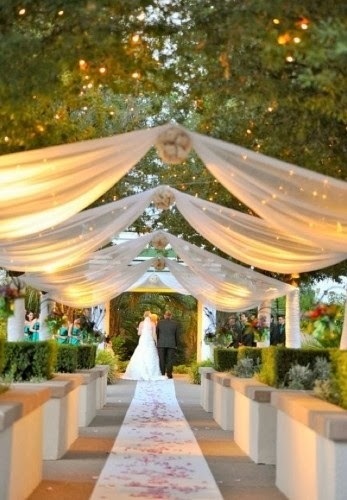 There are many different theme based outdoor wedding ideas. Basically, you're only limited by your imagination. If there is a historical location in your area, this is a great location to plan a wedding theme around. Rustic, old barns are great for a western style wedding, if that's your thing. 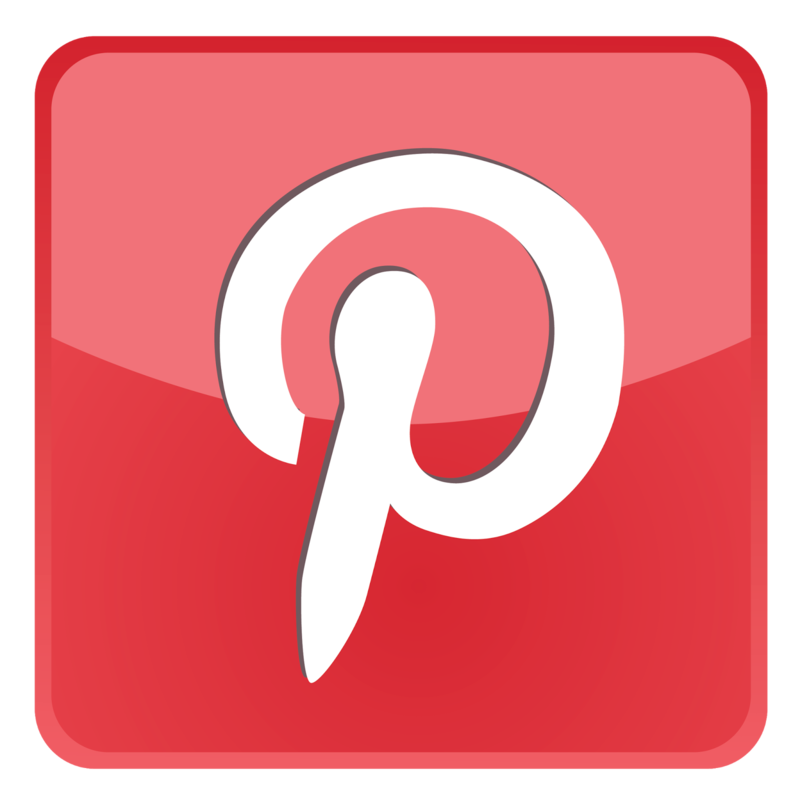 The most important thing is to match the idea with the location and your personal preferences. 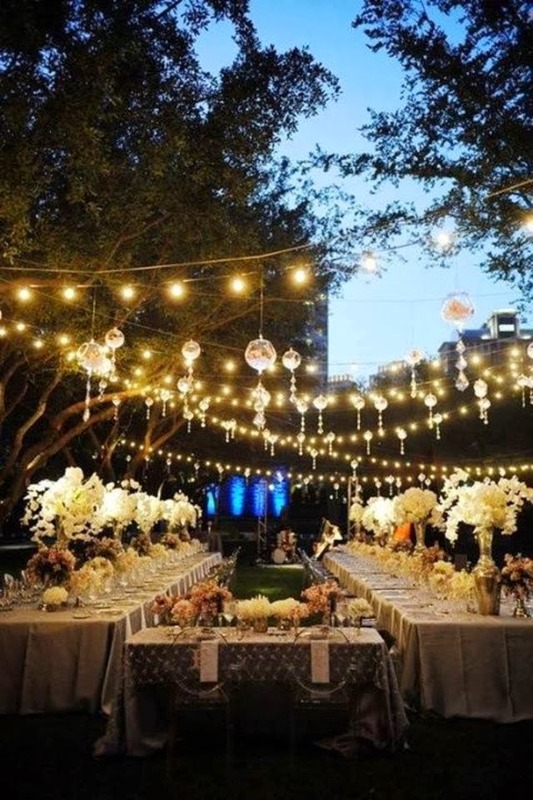 If you or a family member have the space, you may just want to turn the backyard into the wedding of your dreams. 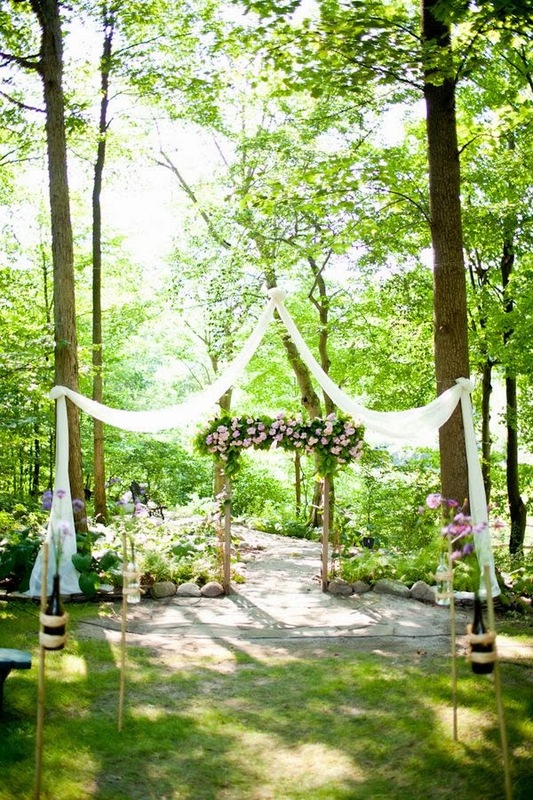 There are many other things to consider when choosing a location for your outdoor wedding. You may have found a beautiful place for the ceremony, but there are some practical consideration as well. 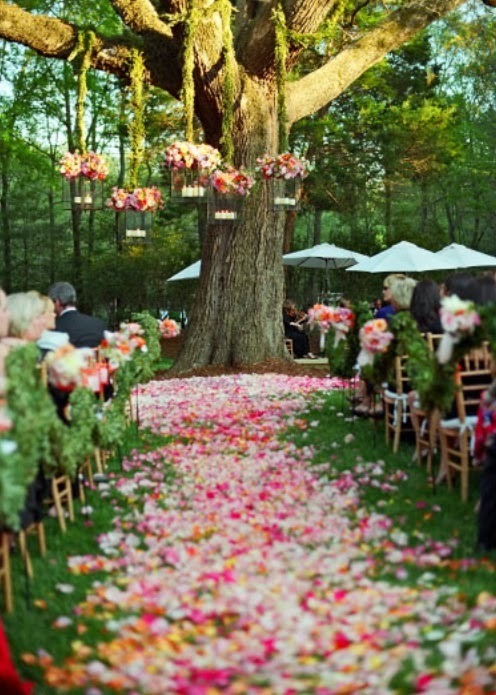 All great outdoor wedding ideas are born of great planning. Here are some other things you may want to think about. Obviously, the weather is going to play one of the most important roles in your outdoor wedding. If you do not have a plan in place to deal with unexpected weather changes, this could turn out to be one of the worst days of your life. If you can afford it, try to reserve an indoor venue just in case the weather does not cooperate. If not, there is a wide variety of weatherproof tents that can provide you and your guests with protection from the elements. Also, make sure that caterers, photographers, and anyone else involved is prepared for outdoor conditions. Food should not be allowed to sit in the sun for an extended period of time. Anyone who is taking pictures and videos of the event should have experience with outdoor work as well. Obviously, you'll also want to make sure the location can accommodate all of the guests comfortably. Some outdoor wedding ideas have failed because there wasn't enough room for everyone. Also, make sure the location is secluded enough to avoid unwanted background noise, such as traffic and barking dogs. All of these things will take attention away from the ceremony. Finally, make sure all of your guests are advised to make any necessary changes should unforeseen weather issues come up. With careful planning and consideration, your outdoor wedding can be a beautiful event that everyone will remember for years to come.